The summertime is on the way and everyone is busy planning for their vacation whether it is just on beach, trekking or a road trip to an unknown destination. No matter where they decide to spend their summer days, but all they need to take transport to go there. 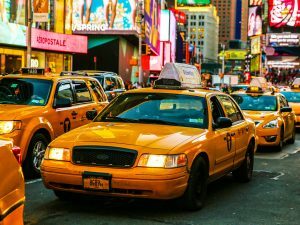 In this case, what people are doing is hiring a taxi using taxi booking apps, but it might be a highly expensive option that costs heavily on the budget. Therefore, it would be a great option for people to travel through rideshare services, where riders will share the ride with other people and divide the cost. In this service, the rider will book a ride, choosing the destination and share the ride with other riders, who are going to the same destination. Such ride-sharing or carpooling services are offered by various taxi service giants like Uber, Lyft, BlaBlaCar, and many other transportation companies. These services are extremely popular among travelers and young people, who travel often to different destinations. With enormous travel alternatives by new technology and business models, individuals have even number of choices. Today, the convenience of using carpooling apps from smartphones, sharing a ride with other riders and splitting the cost has helped a lot of people to propel ride-sharing to the forefront of the sharing economy. According to PwC report, transportation is being one of the largest sectors, and it is estimated that the sector will generate global revenues of $335 billion by 2025; therefore, transportation is considered as the most promising sectors for investment opportunities. Taking the benefits of new trends, taxi service providers can come up with new carpooling apps, bringing together office goers and commuters to share their rides. However, in the above-given graph, you can see that the search term for carpooling apps is growing constantly from the past several months. Every single day, the demand for ride-sharing apps like UberPool, BlaBlaCar, and Lyft is rising and allowing people to save their time and money. 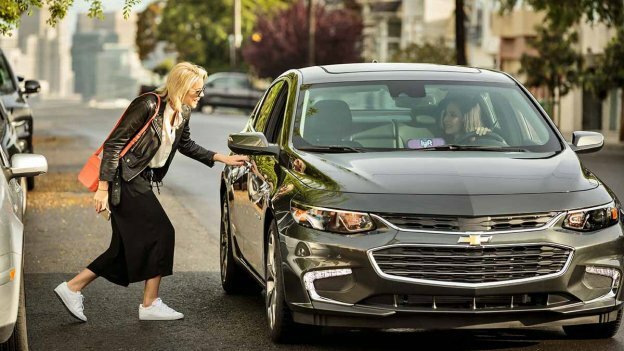 Talking about Lyft, the biggest U.S. ride-hailing company has announced that it has completed more than one billion rides since it started out in business six years ago. Currently, the company only operates in U.S. and Canada, rather than worldwide. Moreover, it has released a series of statistics such as people make use of Lyft between the hours of 11 pm and 2 am, then they do between 5 am and 7 am. The company shared that it has completed 153 million rides during the night hours and 97 million during the early morning shift. Looking at another report from crunchbase.com, Lyft will be the first U.S.-based ride-hailing company that will go public. The company is planning to launch a two-week roadshow for its initial public offering during the week of March. People always prefer to use those applications that are easy, time-saving and takes fewer efforts to access. Therefore, one of the main features of carpooling app is allowing riders to search for their preferred rides effortlessly. It is essential that your riders do not face any hassle while searching for the rider where they want to go. No matter whether they prefer to go on any tourist destination, home-to-office or any other place, it must be easy for them to enter the details and find a ride that they can share with other riders, who are going to the place. Another important feature that can make a carpooling app stand out is the preference of other riders with whom they can travel. As everyone is different and have their own choice, so it would be a good option to allow riders to choose with whom they want to travel. Allow them to add their preferences while booking for a ride like by gender, age, and any other preferences. In case, if you are targeting tourist places that mean long-routes, then you can give your riders some additional preferences like hobbies, interests, etc. so that they do not get bored while riding. By choosing hobbies and interest, they can find another rider, who has the same interest as them and can travel long routes together. Apart from this, you can share profile information of riders with each other so that they can find more comfort in traveling with strangers. Now, it is something that can really excite your app users. You can allow your app users to create a group of people with whom they often travel on the same route. By creating a group of people with whom they are familiar with whether it be intercity travel or daily ride to their home-to-office, they can enjoy their daily rides. They can be with their friends, colleagues, neighbors and relatives while riding. In fact, you can always allow them to share their preferences about the people they travel with by being a part of groups. No one likes to enter the same information, again and again, so your users hate it too. If the rider is using your ride-sharing app on daily basis and he has to enter the address repeatedly, it can irritate your users to type long addresses of places they travel often like home or office. Therefore, it would be a great option to suggest rides based on users’ history. With the special algorithm, you can provide your users rides based on his or her commuting history. It will be convenient for your users who often go to the same place. So, including this feature in the rideshare app is totally worth for riders. 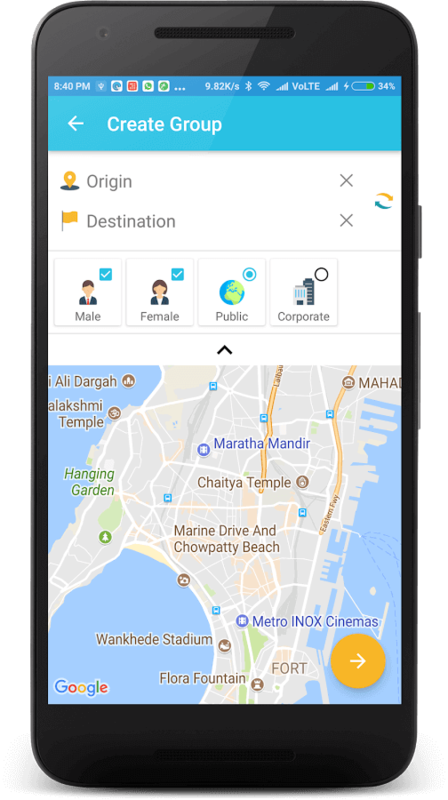 Another essential feature that can be considered during carpool app development is chat or direct message option so that driver and passengers can communicate easily about the place. They can add their contact information for making their communication easier through chat messenger. Rather than calling each other again and again, they can communicate through chat messenger that is more convenient. Being an owner of carpooling or ride-sharing app, you must always be open to suggestions, reviews, and feedback from your customers, who use your app on daily basis. By their suggestions and reviews, you can keep improving your ride-sharing app with more features, functionalities, and services that facilitate your app users. Moreover, feedbacks and reviews help other riders to know about your app and its features. It can also help them to choose a driver by their ratings and reviews as you can also allow users to rank drivers according to their behavior and service. So, these are some of the most common carpooling apps that you can consider while creating a ride-sharing app. However, apart from these above-mentioned features, the ride-share market is vast and there are enormous other features like Emergency button in the app, driver & rider identity verification and search option that can be included in the app. No matter whether you have planned to create a carpool app or already have one, you can customize it from the app development company that proffers Uber clone app development services. 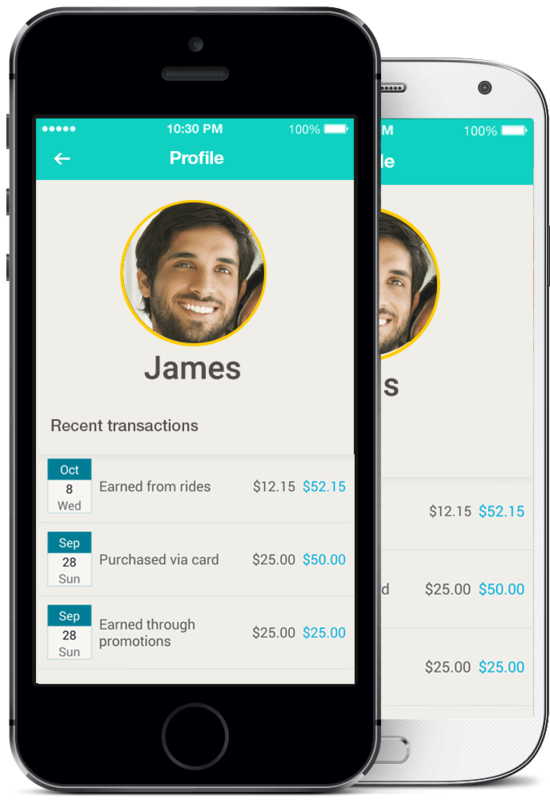 How Do We Customize Carpooling App Service to Meet Our Client’s Taxi Business Needs? According to one of our clients’ requirements, we have given a new definition of carpooling app service. To match our clients’ business service, we customized carpooling app service, where the only driver can decide the route and pick-up only those passengers that are going the same way he goes. Then, the riders will split the cost accordingly. In this service, the driver will not serve its passengers with on-demand services as he is the one, who decides the route and gets only those requests, through carpool app, that come for the same destination where he is going. Our client wanted to open carpooling service for all the people, who want to save on fuel cost while traveling to home-to-office, tourist place or any other destination. 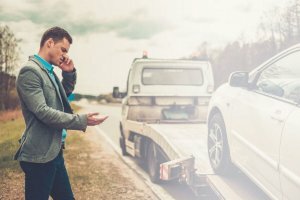 How should I validate my carpool app idea with any mobile app development company? 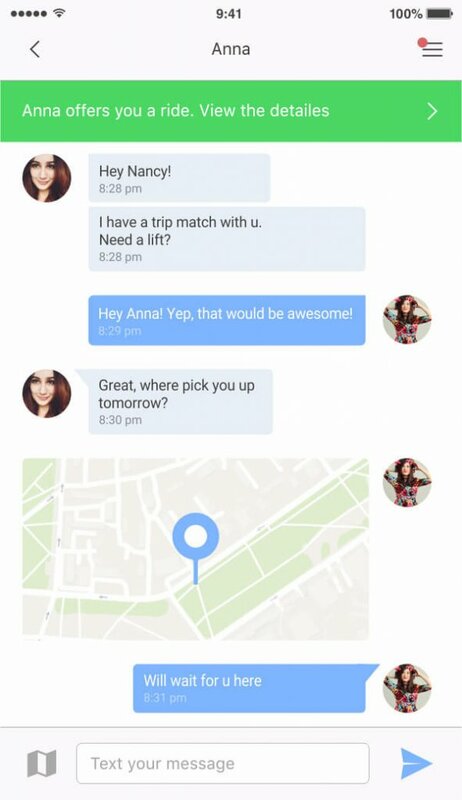 What type of other features and functionalities can be included in carpooling app? I want to create an app from scratch. How much does it cost to develop a carpooling app like Uber and Lyft? I want complete solution for taxi booking services. Something that works like Uber or Lyft. To get answers to such questions or queries on custom carpool app development services, you can consult us directly from the below-given form. The consultation won’t cost a single penny. Our business will get back to you and offer you a complete proposed solution. This page was last edited on April 4th, 2019, at 8:25. How Can You Compete With Taxi Giants Like Uber and Lyft By Considering These Essential Things?